The HITS-on-the-Hudson Circuit Comes to a Close with Beautiful Weather and Championship Titles! 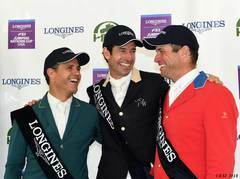 Who's Your Pick for the Saugerties $500,000 Grand Prix FEI CSI5*? Hunters, Jumpers, and Eq, Oh My at HITS-on-the-Hudson IV! Book early for HITS-on-the-Hudson, and save! Take a Look at Our Top Five Favorite Moments from the HITS Saugerties Spring Series! Spring Show Jumping at HITS-on-the-Hudson is a Wrap!